This fragment in raised relief depicts the upper right leg of the wife of Kanefer and right hand of Kanefer facing right. He holds the end of his scepter. The hand is painted red. This fragment joins 32-12-12.1. This joins the rest of the standing figures of Kanefer and his wife, facing right. 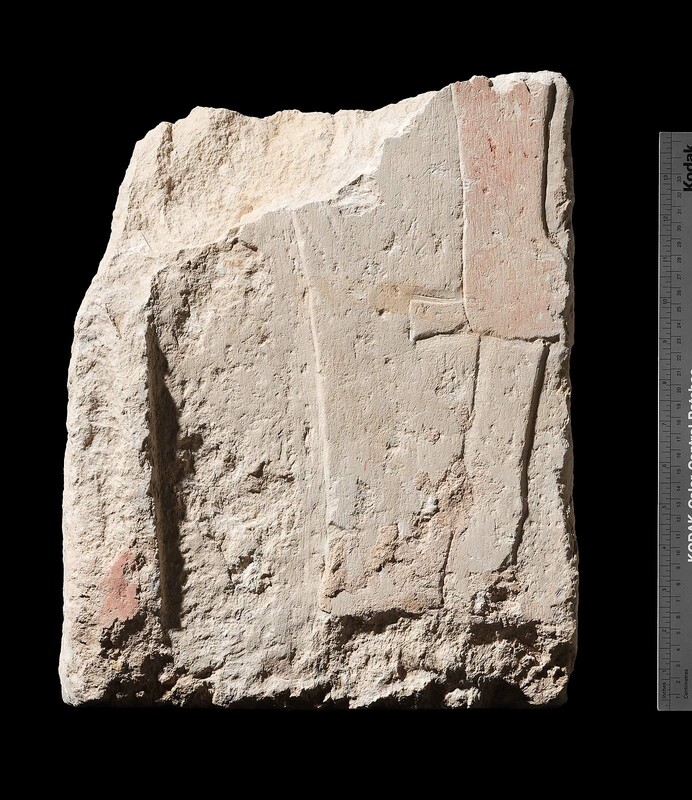 From Giza, Debris between G 2150 and 2170 originally from G 2150, part of chapel north wall, west end. 1932: Excavated by the Harvard University–Boston Museum of Fine Arts Expedition; assigned to the MFA by the government of Egypt.